Just talking leads to nothing. 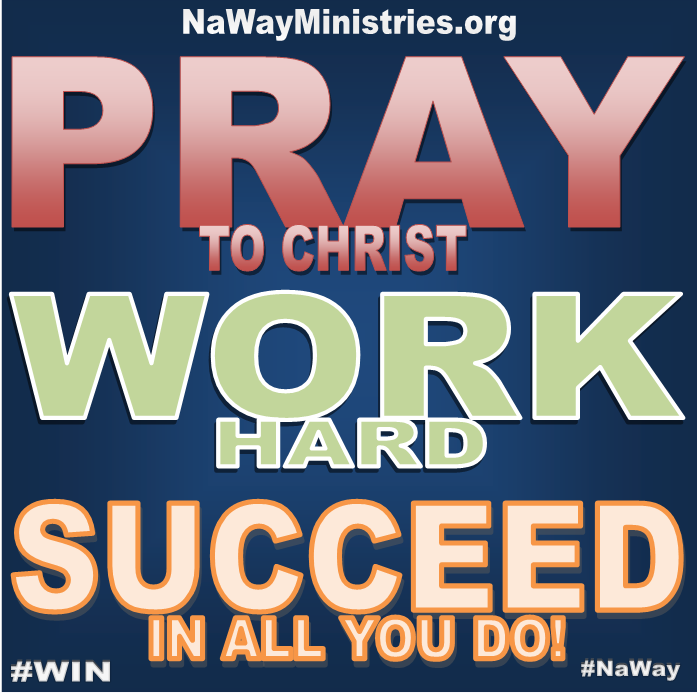 Are you working in some way for the Lord? If so, do you see positive results? The only proof of an authentic ministry is positive godly results in other people’s lives. Many of us work hard, but for the wrong reasons and motives. 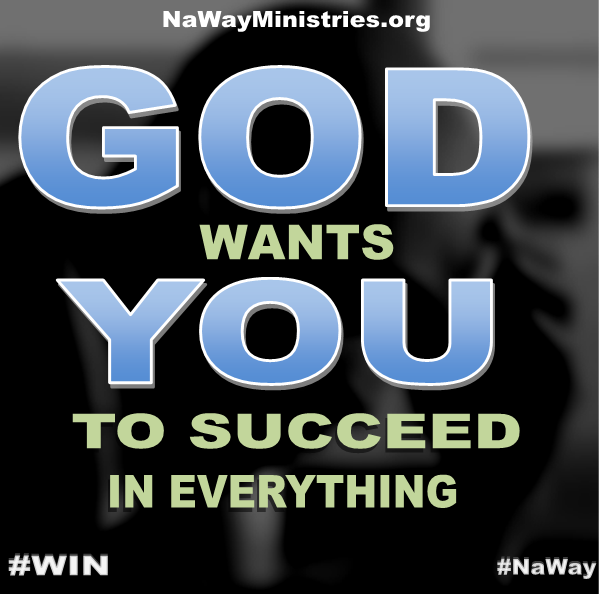 Forget about success in this world, aim for success with God. For those who know Christ, that is the greatest success and reaps the greatest rewards. The Bible tells us that we reap what we sow (Galatians 6:7-8). You get out what you put in. There are some times where you can fool some people, but you cannot get over on Christ. In working for the Lord; the reward He gives you will be EXACTLY what you deserve. Don’t try to cut corners in God’s work. It may hurt sometimes when other people SEEM to be getting over, but Jesus knows. Have patience, work hard, and know that God will reward you accordingly. A few months ago my wife and I were in the Bahamas and we actually went through a storm. From our cruise ship, we saw a smaller ship attempting to sail. There were many skilled crew members aboard, yet their efforts were to no avail. The ship was literally being tossed back and forth by the wind. It was just meandering through the sea. When we doubt God, especially in our hardships, this is how we wander through life. We have no direction or sense of purpose. All this changes, though, when you come to God’s throne boldly in faith! If you have faith that Jesus Christ died for your sins, remember that He rose and He will never leave you alone. Seek God’s wisdom. Have faith. Where do you get your advice from? A trial has a way its way of taking its toll on us. The natural response to trouble is to worry. Along with that we usually tend to want to run to someone or something for help and guidance. Most of us do right in understanding that we can’t handle all the troubles of life on our own, but go astray from there. We run to everyone and everything for help. Even as children of God we will try to find solace in horoscopes, talk show hosts, and our friends for help. But James says that we should ask God for wisdom! Do you lack wisdom? We all do. But God has all that we need. In Bible study the other night someone mentioned how great it would be to talk with someone who is 100 years old. Just hearing about all the trials and triumphs a person of that age has endured would be encouraging and provide insight to life. This is very true, but how much more wisdom does Jesus have? He knows everything about you, the world you live in, and the purpose behind your trial. 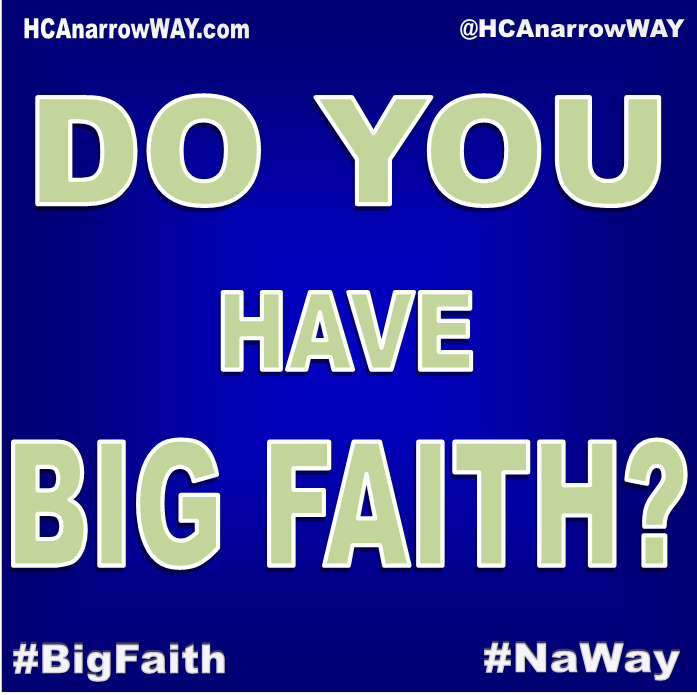 Ask Christ boldly with faith for the wisdom to come through your trial victorious and you will. Just don’t doubt Him. Think about all of the troubles you have endured throughout your life. Think about every single time that life seemed to be too much for you. Now think about every the times in your life when you felt closest to Christ. If you are real with yourself then you must admit to yourself that the two coincide greatly. Pain pushes us toward the Lord. But look pack through your pain and you will see God working. You will see Jesus shaping you into the person that He called you to be. A shift in focus can shift how you persevere through your trials. Look back over all that God has done in each of your previous vexations. Remember how He came through then. Don’t think so much about your hurt, but look at what God is doing in your hurt. God wants to make you perfect and complete. He is making you spiritually mature so that you won’t be lacking anything that you need. See yourself persevering through pain. See yourself becoming more and more like Jesus. Why? God does. The Word of God tells us that we can consider all the troubles we endure, as Christians, joy. I don't know about you, but that sounds rather strange to me. When trials come joy is not the first thought that comes to my mind. Usually there is worry about the future, doubting about success, and fear of more trouble on the way. But James says that we can count it all joy. From the foolishness on your job, relationship problems, financial troubles, and all the rest; God tells you to consider it all joy, But why? Trials come to make you stronger. Nothing tests your faith, patience, and strength like trouble. Your dependency on God as well your awareness of how much that dependency is needed grows when life is the roughest. The joy in your trial should come from knowing what is ahead for you if you stay faithful to Christ. Christ allows us to suffer so that we may identify with Him. We draw nearer to Him in our pain and we depend on His Spirit. As you seek Him more the fruit of the Spirit will flourish in your life. Count it all joy because God is making you better than ever! You can trust God. 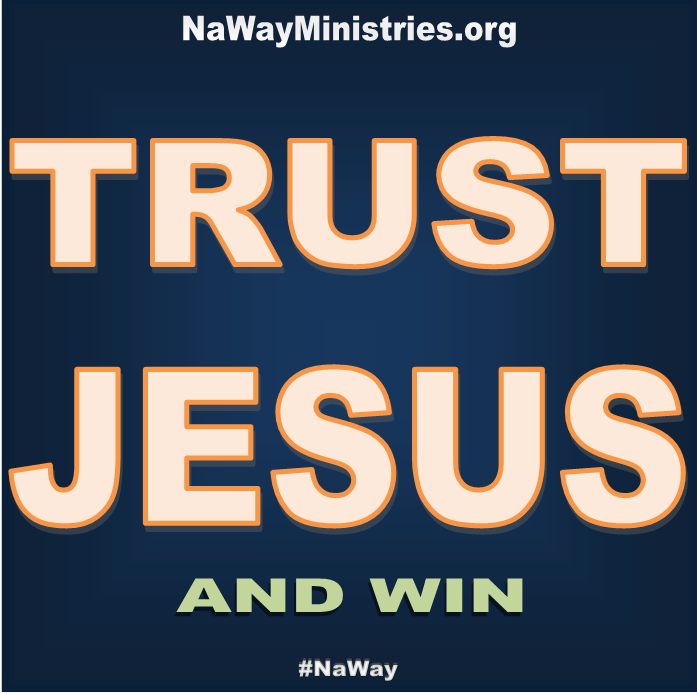 He has never let you down before and He never will. Believe God always has a plan. He is making you stronger, wiser, and better. Each low point in the past is an opportunity for God to show you how powerful He truly is. Trials bring us closer to God. Although we don’t like that, it is the truth. 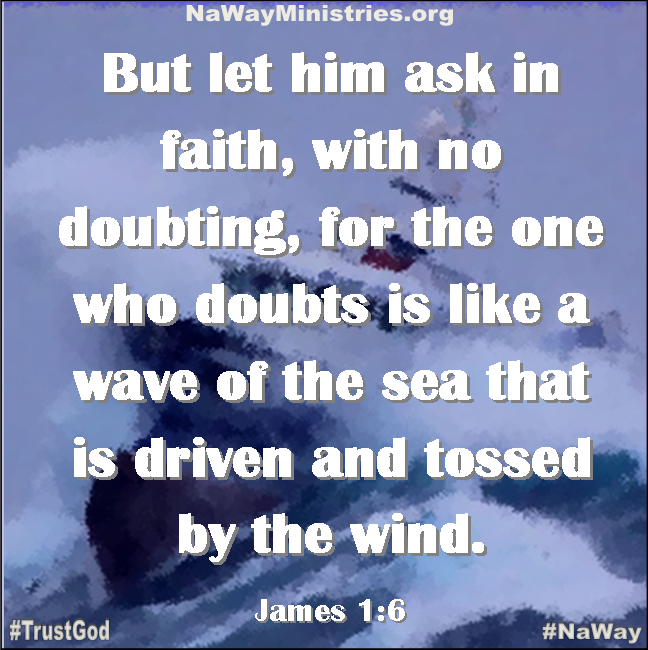 Will you trust God? Will you believe that His character never changes. Will you hold to the fact that He always has your best interest in mind? Good! Remember, Jesus loves you. He came through before and will do it again! Why do we let outside circumstances affect what we know about the Lord? Trial after trial leads to testimony after testimony. God always makes a way. The more we come to know Him, the more we realize just how powerful He is. 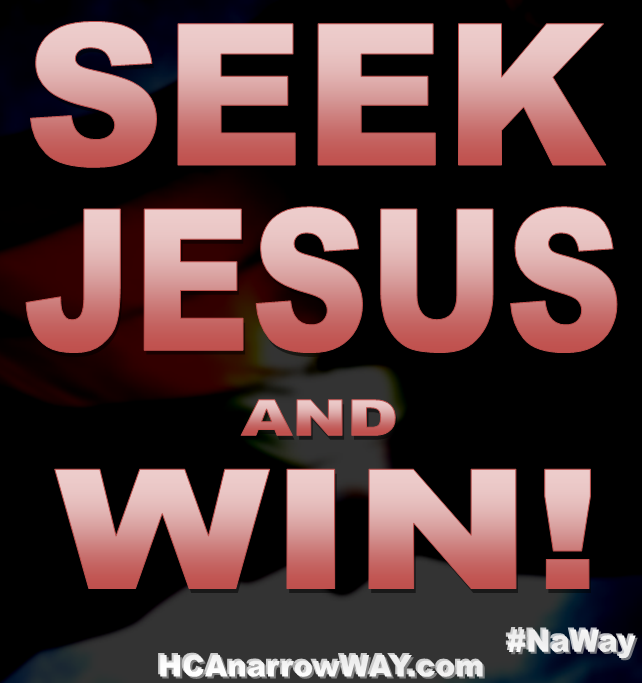 When we feel Jesus leading us in a certain direction we should go. Looking back on everything He’s done before should give us the motivation to go even farther in Him. But it’s not always that simple, is it? Just take a mental survey of your life and you will notice just how good the Lord has been to you. Take a moment and just think about how good God really is. God provides all of our needs and most of our wants. When you act right; God blesses you. When you act wrong; He still takes care of you. Think about the last time you thought it was over. What happened the last time you just knew your life was ruined. What happened? Did God come through? Of course He did! That’s just who He is. Jesus will never leave you alone. Sometimes you may feel alone, but in Christ you never are. The next time you feel distressed don’t hesitate to cry out to the Lord. Tell Him how you feel. But don’t forget to incorporate thanks into your prayer. When we give thanks to God we remember all that He has done. When we remember all that the Christ has done for us we receive a spiritual boost. We remember the last time God made the impossible possible. We remember the last time He comforted us through our pain. We remember that He loves us unconditionally. God will not bring you to something that He will not also walk through with you. You don’t have to understand everything, just keep trusting God. Take a look back over your life. God did it before and He will do it again. He’s Able! Friends, although I wanted to write about love this week, leading up to Valentine’s Day, I felt compelled by the Spirit to shift my focus toward suffering. So many people I know are going through something right now. I’m sure you know many people who are dealing with trials as well. People are grieving. People are hurting. People are confused. 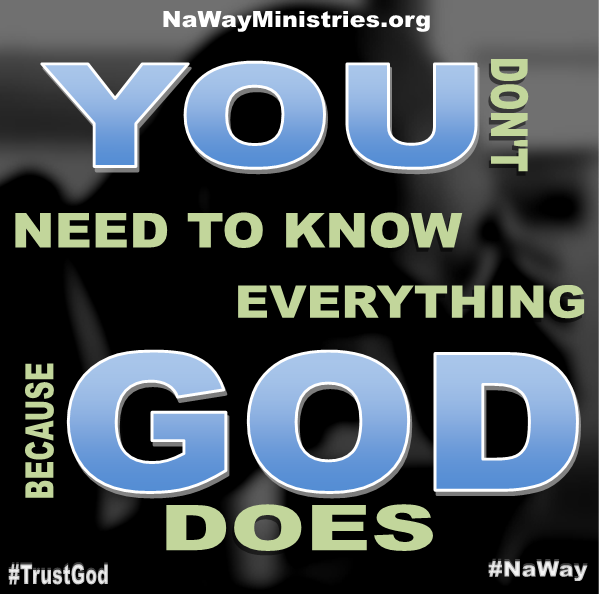 We have friends and family who are trying to trust God, but they just don’t know how. That may be you or you may know someone who needs some encouragement. 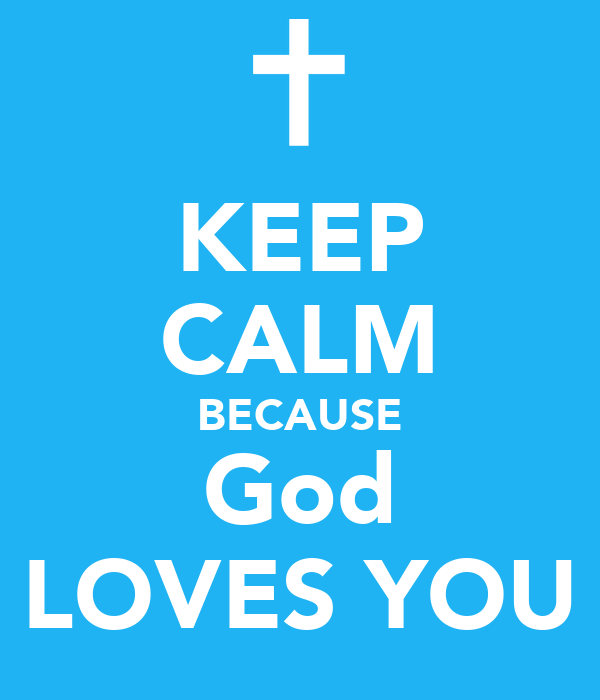 But no matter what you are going through at this moment, please remember that God loves you. Job didn’t understand what he was going through. Job was discouraged, wanted to die, and even wished he had never been born. Job was depressed, but He never cursed God. Although a prolonged state of melancholy is unhealthy (physically and spiritually) there is nothing wrong with expressing your feelings. It’s OK to be sad. It’s fine to admit that you’re frustrated. If you’re angry, let it out. 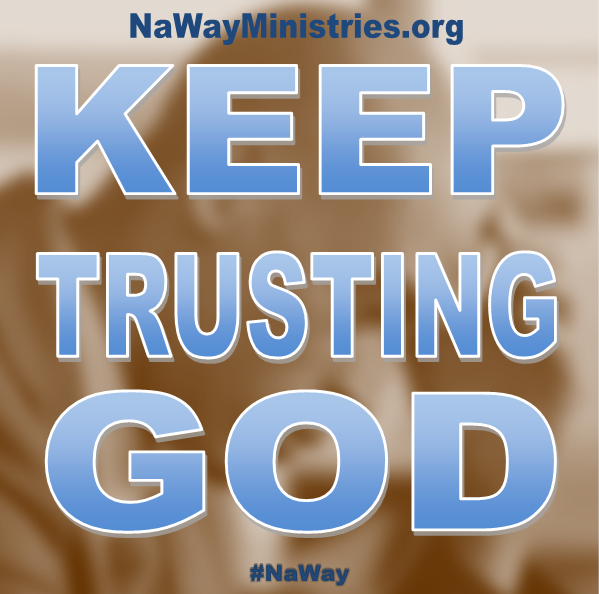 But, through it all, keep trusting God. Believe that He is still in control. 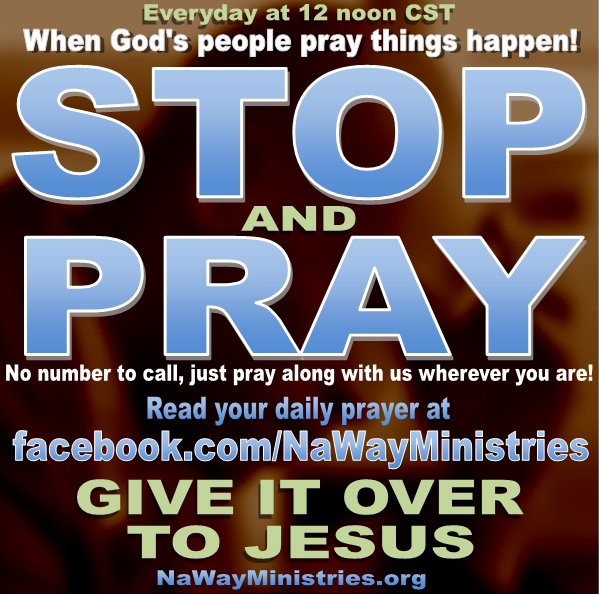 Let what you know about God override what you see (or can’t see) right now. God is able. Trust Him. Labels: Depression, grief, Hurt, Job, Love, Pain, Why God? In this life our love can be abused so much. People hut and mistreat us.. It can be hard to love anyone at all. Sometimes we lose faith in people, end even ourselves, to the point that we question God’s love. We wonder if He really love us. We question if He still loves us after all the wrong we have done. Life can batter us to a point where we are just not sure anymore. But let me assure you; God loves you. 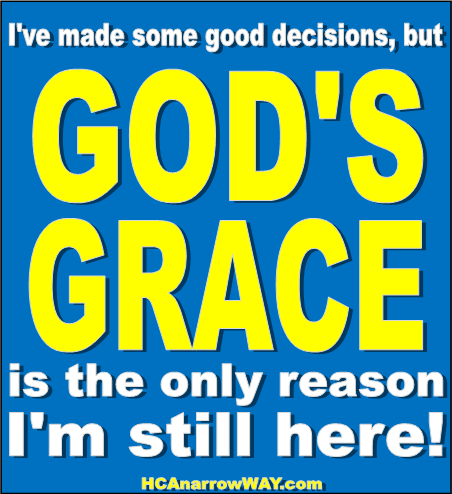 God loves you so much that He sent Jesus to die for you; His only begotten Son. Christ loves you in a way that when there was nothing lovable about you He still gave His life up. There is no greater love. Jesus’ love for you is not based on anything about you. God loves you simply because He does. You don’t have to work for it. All you have to do is accept it. Nothing you can do will ever make God stop loving you. And God’s love is all that you need! You cant avoid hardships. None of us can. Your life will have its moments you aren’t proud of. You will have your weak points. At times you will want to give up. It gets easy to turn around and live in past. Don’t recidivate back to how you used to be. There is nothing there for you. You can't change the past, but God can change your future. Turn around and move forward. God is at the finish line. He is also right beside you. His Spirit is on you. You can make it. See yourself finishing. See yourself winning. See yourself like Christ. 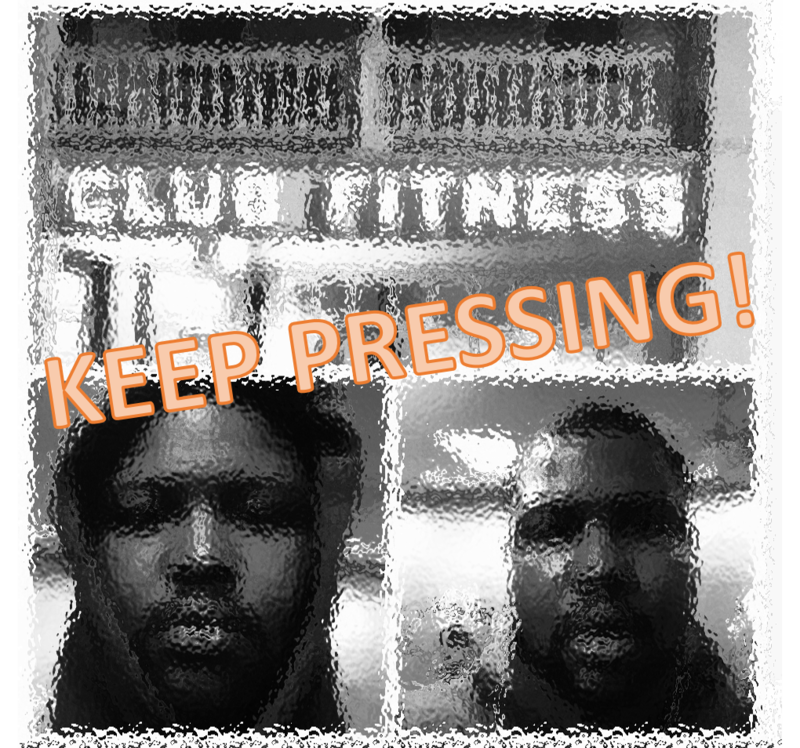 Keep pressing! Keep pressing forward. No matter what has occurred in your life you must keep going. We all have failures. We all have made mistakes, but that is no reason to give up. The road to success to success is laden with ups and downs. In a post Super Bowl interview Peyton Manning “It’s not embarrassing at all. I would never use that word…The word ‘embarrassing’ is insulting to tell you the truth.” There’s a difference between accepting your mistakes and feeling ashamed. There’s a difference between realizing your mistakes and living in them. Paul said that his desire was to know Christ and the power of His resurrection (v. 10). Although he knew Christ he had a passion to know Him more. That should be the goal of every Christian; to know Christ more. Keep your eye on the future. There is more from Christ. Don’t get caught up in mistakes. Don’t be embarrassed and shameful. Look to Jesus. See yourself becoming more and more like Him. Keep pressing forward. Don’t get caught up in the past. Thinking about the Super Bowl the losing team always gives a similar response after the game. They look back and review what they could have did and what they should have did. To a certain extent that’s fine. For a while it is necessary to reflect on the past. This is how improvements are made in the future. But at some point it's time to move forward. Living in the past will get you nowhere. When we don’t protect our minds it gets easy to live in the past. Don’t live in what already happened. There’s nothing there for you. Why waste time wallowing in guilt when God has already forgiven you for your sins? Why sit and think about how people have wronged you when you can’t change anything about it now? Why live life stressed out when through Christ you can live a productive, joyful, and healthy life. Don’t waste time looking back. You will stumble, trip, and miss out on your destiny. Turn around and look forward. That’s where your success is. There is always a next season in your life. Keep pressing. When the Super Bowl began yesterday, I said to myself “Go Broncos!” A few hours later I found myself saying, “There’s always next year.” As much as the Broncos tried to hang in there, the Seahawks prevailed. But there is always next season. Next season is another chance to go back and win. Have you ever felt like that in life? Have you ever lost? You may wonder to yourself, If only I did this” or “If only I did that.” It’s easy to get caught up in our failure and in the past. But just remember, even in life, there’s always another chance. There’s always another season in life to succeed. Do you have some major losses in your life? Don’t worry we all do. The key to success is not a perfect past, but in how you deal with your failures. Set your mind on the goal of knowing Christ. Set your mind on the goal of perfection. Saturate your mind in reaching Christian maturity. When you’re up and when you’re down keep straining towards your goal. You’re not doing it alone. If you are God’s child He is right there with you. Keep pressing.